”Senator Glenn Sterle with the ‘mystique of aviation safety’ in a nutshell – “CASA has an incredible power over ministers. You must have some fairy dust that you sprinkle on them, because they all believe every word that you say”. CASA serves only the interests of CASA. First and foremost – self-perpetuation. Closely followed by reaching its claws into the pocket of every GA participant to extract the maximum bounty to fund said self-perpetuation. It long ago became an unwieldy beast that shed even any sort of pretence it might actually serve the aviation community that funds it through the regular extortionate gouging, both direct and indirect. Why then does it expect anyone with a brain and even the slightest modicum of historical fact into aviation in Australia to believe anything the self declared non-apologist has to say on any topic? It has been proven time and time again to be untrustworthy on almost every level (secret collusion to influence ATSB investigations and doctor accident reports – anyone, anyone…?). An organisation that simply lacks credibility within the real aviation community (ie, not the segment that benefits from the largesse, corporate favours and behind the scenes political shenanigans) cannot be taken at face value. Bureaucratic regulation for all is the panacea for everything. By now it is clear the regulatory behemoth seeks to destroy GA and everything associated with it, to not only bite the hand that feeds it but to chomp, mangle and swallow to the GA armpit and beyond. Whatever any new purported “safety measures” might be from CASA for the community service flight sector, it will be a rocky transition to yet more rules that will do nothing to protect anyone. The only new protection needed is for the selfless humanitarians in the community service flight sector (and GA generally) from the CASA bureaucrats. simultaneously denounced as “misplaced concerns” when the CASA PR machine swings into action. We all know by now where “nominal” fees end up down the track – the next CASA cash cow. Remember this all well folks, for what will be sold out of both sides of the CASA mouth in the months and years ahead will be nothing but a wolf in the guise of a sheep. Harmless at first, only to reveal a savage bite when it’s far too late to fully comprehend what really occurred. 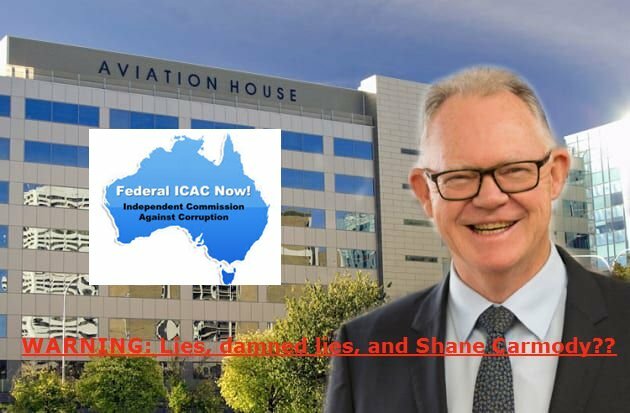 Given the behaviour of CASA over the past years, one really does need to wonder whether they are a completely delusional bunch (given the continued expectation we will blindly accept anything they broadcast), but more importantly whether there is indeed a hidden agenda to completely rout GA – to destroy it so completely that nothing remains but empty crown land, devoid of the now GA aerodromes and ripe for redevelopment – which will all be a sheer coincidence of course. A type of actual service that CASA would not recognise if it were placed directly in front of its bloated waistline.